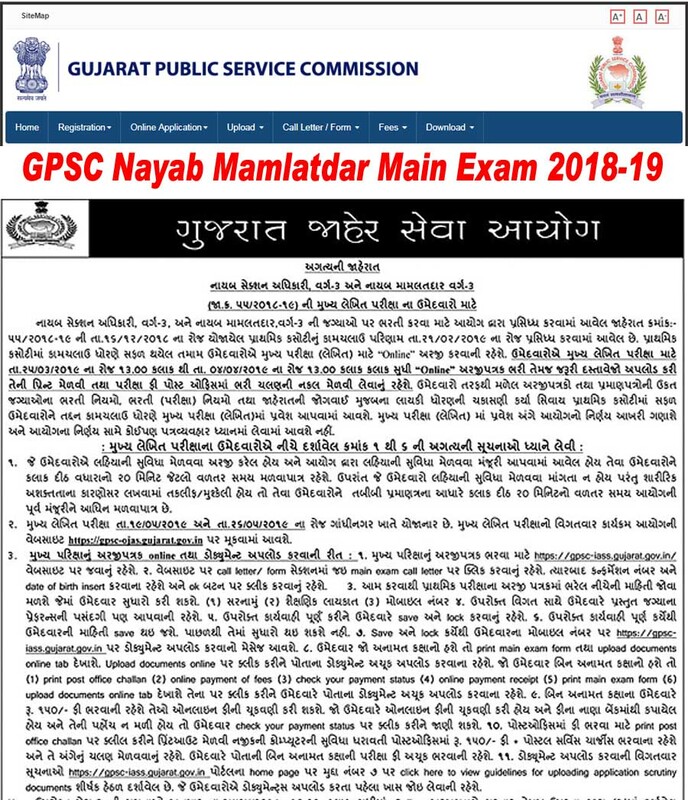 Gujarat Public Service Commission (GPSC) has published the Main Exam Application Form Notification 2018-19 for Dy. Section Officer / Dy. Mamlatdar (Advt No. 55/2018-19) Posts, The prelim exam was held on 16-12-2018. The result was declared on 21-02-2019. The main written exam will be held on 19-05-2019 & 26-05-2019. The Main Exam form will be available from 25-03-2019 to 04-04-2019. Check below for more details.